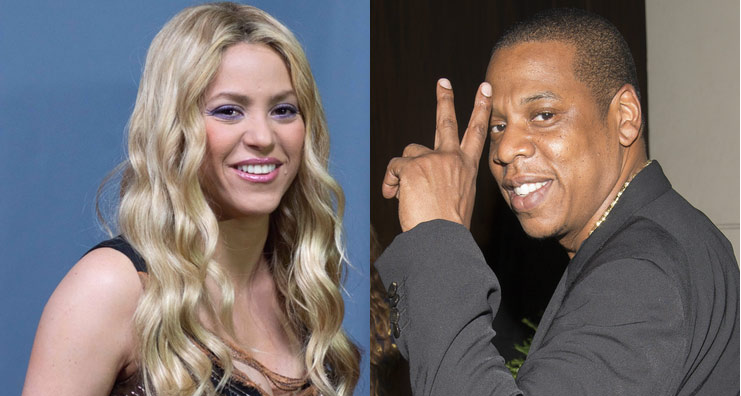 Roc Nation artist Shakira boasts about bossing around her manager Jay Z.
Shakira ''bosses'' Jay Z about. The 'Hips Don't Lie' hitmaker, who will release her self-titled 10th studio album on Monday (24.03.14), her first record since signing to Jay Z's Roc Nation label, insists the 'Holy Grail' hitmaker does not tell her what to do. She told The Sun newspaper: ''He's not my boss. He is my manager. In fact he says that I boss him around. ''But he is a great manager. He is very chilled, which is important. ''I think male managers are very relaxed and they know how to handle very stressful situations. ''The thing with women is we give so much importance to every little detail. Everything has the same level of importance. We lose perspective, or at least I do. ''The hairdresser didn't turn up! Arrrrrgggghhh, what can I do? It's the end of the world! 'Shakira' is her first English-language album since 'She Wolf' was released in 2009 and her first as a working mum, after giving birth to 14-month-old Milan, her son with FC Barcelona player Gerard Pique.